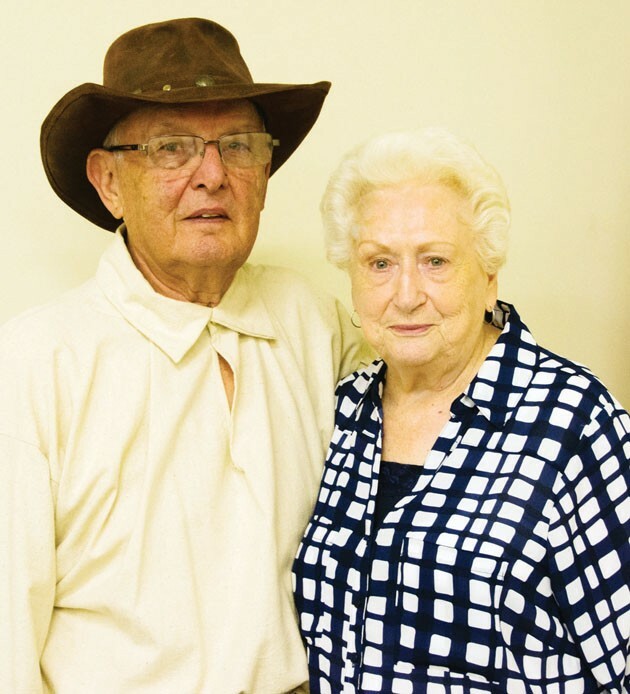 Robert and LuAnn Blakely presented some little-known facts about the Mormon Trail during the Sons of Utah Pioneers Settlement Canyon Chapter’s monthly meeting on May 5. “The Trail of Tears” is how the Mormon Pioneers described the massive hardships and yet miraculous blessings on the trail between Nauvoo, Illinois and what would come to be known as “Winter Quarters” in Nebraska. The Mormon Saints had been forced tearfully out of their homes in the dead of winter. It was reported by LuAnn and Robert Blakely that before evacuating their homes, the women even swept them so as to tearfully remember the wonderful years of peace the Saints had experienced for those few short years in Nauvoo before the Prophet Joseph was martyred. The Blakelys served a mission at “Winter Quarters” at the visitors center in the Mormon Trails Mission in Florence, Nebraska. Quoting from journal entries and using pictures and maps, they helped the Sons of Utah Pioneers Settlement Canyon Chapter understand why the trail through Iowa made the trail from Iowa into Utah seem relatively easy. The Winter Quarters to Utah trail, which is three times the distance from Nauvoo to Winter Quarters, was accomplished in about the same amount of time as the “Trail of Tears” from Nauvoo to Winter Quarters. After temporarily stopping this exodus in Winter Quarters, those road, mud and mosquito-weary travelers still had to find shelter. Many lived in tents, others in their covered wagons, and a few were able to cobble together tiny cabins from trees they cut down. These cabins, not even as large as most bedrooms today, seemed like palaces to those who had survived in tents and wagons, even if they needed to continually mud between the green timbers as they dried. They made fireplaces from prairie sod that interestingly hardly ever caught fire. Just as things seemed to ease up a bit, the U.S. government, who had done nothing to protect them in Illinois, now showed up wanting 500 men for military service. What at first seemed an idiotic request ended up being a lifesaver for the Winter Quarters people. The army gave each man $42 for uniform allotment. Rather than spend this money on clothing, the 500 men and a few women, used their own clothing, and donated the $42 to the church. This writer doesn’t know what $21,000 in today’s dollars would do, but it ended up being a wonderful blessing, and many tears were shed once again.